Welcome to a New Way to Work! I’m Dr. Geri Puleo, the president/CEO of Change Management Solutions (www.ChangeWithoutBurnout.com) — a boutique B2B consulting firm helping companies who are planning, implementing or struggling with change. While my website provides white papers, articles, podcasts and webinars on creating change without burning out, this blog is the personal side of my company. Why did I start this blog? Burnout is rampant in the workplace. Even as an entrepreneur, the balance between work and life was still difficult. Then I started to change. I was working too many hours and thinking about work even when I was not working — like when I was trying to go to sleep. I was not living in the present — I kept thinking about all the stuff that still needed to get done. I was challenged by a rapidly changing business and personal life — but I couldn’t find the time to do the necessary planning, let alone enjoy the changes. I was emotionally, psychologically and physically exhausted — but sleep wouldn’t come and, even when it did, I never felt totally rested. I proved my own B-DOC Model as I descended from initial hope and excitement down through frustration, anger, apathy and finally burnout — I just didn’t care about anything any more. Then I had a spontaneous retina detachment — I lost 20% of the vision in my right eye and underwent 6 surgeries over 5 weeks to regain my sight. The odds were only 2% for a retina to spontaneously detach plus less than 5% that the initial surgery would be followed by another tear — and I had a total of 4 tears or holes. With those kind of odds, maybe I should have played the lottery. In addition to the surgeries (an unpleasant combination of novacaine shots in the eye followed by laser and cryo to freeze the damaged part of the retina), I had to lie on my side for 50 minutes on the hour so that the gas bubbles that were part of the surgical procedures would push the detached area back into place. Plus I was able to only see shadows. I couldn’t see anything outside — so I looked inside to take stock of my life. Working longer does not necessarily mean working smarter. Rest and fun are important needs for all sentient beings. The cry for a sense of urgency at work is a prescription for burnout. Not all people at work or in your personal life are supposed to be part of your life. Other people were equally or even more stressed than I was — and they didn’t seem to have a club how to overcome it. The “human” in human resources is in name only but doesn’t respect the humanity of the workforce. I was entering the next 25 year period of my life — and I wasn’t going to be happy if it continued the way that it had been going. 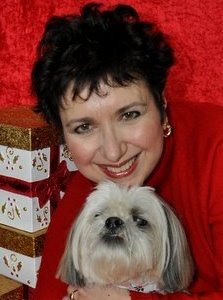 And finally my dog Max (a 14-year-old lhasa apso) seemed to be happier than most of the people that I knew! That’s when I decided that there had to be another way. I vowed that I would use my research and my life experiences to find a new way to work — one that respects the humanity of the workforce…that brings joy from accomplishment…and that doesn’t squander the precious gift of living. Please subscribe to my blog and give me your feedback as I embark on my journey to create a new way to work.